One of my new-year resolutions includes ‘getting out of Melbourne to enjoy art on offer in regional Victoria’. This promise began to materialise just before Christmas when I contacted an ‘old’ pal who lives in Geelong and shares my love of art. 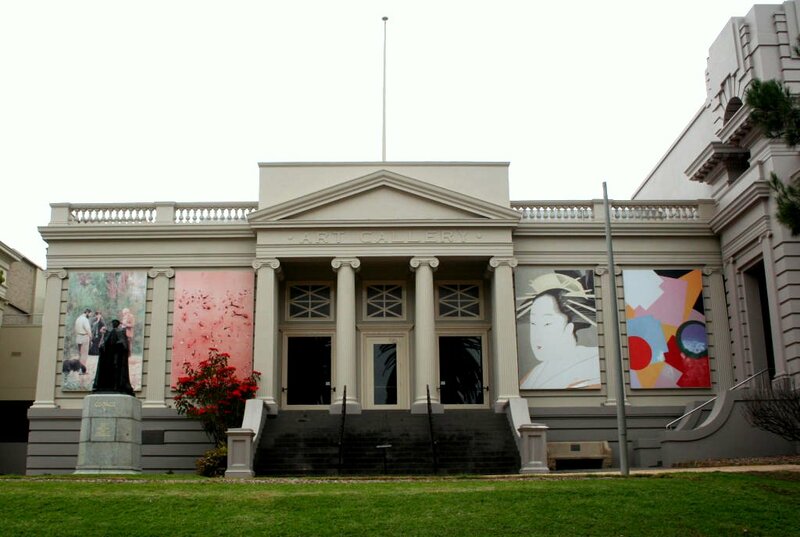 I’m ashamed to say that I have never stepped foot inside the Geelong Gallery (GG) so it was my chance to have a chin-wag with Pam and enjoy a private tour of her local, and much-loved, art gallery. On a glorious summer day last week I travelled to Geelong by train from Southern Cross Station in Melbourne. A flat pastoral landscape dotted with dusty shrubs and random groupings of grey-green eucalypt trees dominated the view from the train. Towards the north-west the granite ridges of the You Yangs gradually rise from the Werribee Plain; the name ‘You Yang’ comes from the Aboriginal words ‘Wurdi Youang’ or ‘Ude Youang’ meaning big mountain in the middle of a plain. These austere geological formations probably don’t accord with European ideas of nature’s beauty, and Australian artist Fred Williams’ paintings of the You Yangs during the 1960s certainly do not conform to traditional compositions of landscape paintings. 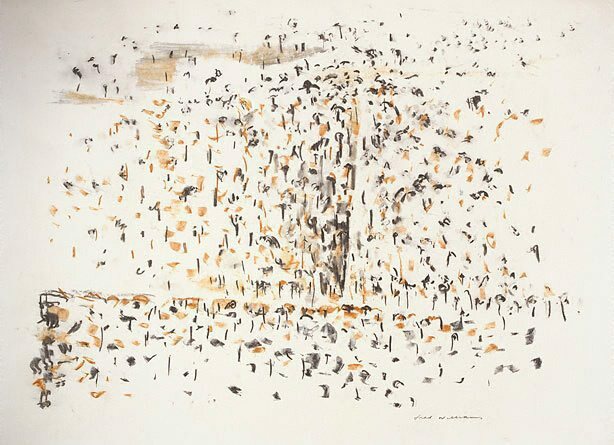 Williams (1927-1982) first visited the You Yangs in the winter of 1962; his idiosyncratic representation of the landscape (‘Landscape Drawing No. 3’) compresses the landscape into a pattern of dots and daubs. 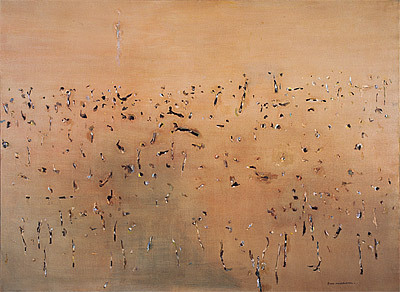 One of the first of Williams’ You Yang series of oil paintings, ‘You Yangs landscape’ (1963), is animated by these painterly marks, suggestive of plant life and land formations. The artist’s choice of pigments reveals a subtle balance between warm and cool hues. 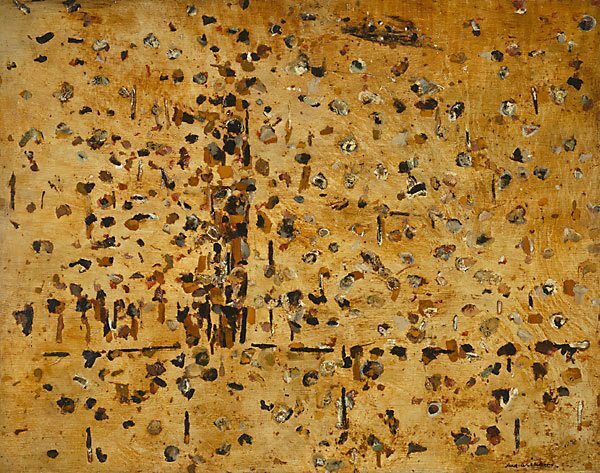 Geelong Gallery owns ‘Yellow landscape’ (1968-69) which is apparently a later painting from Williams’ You Yang series (although the 2011 NGA ‘Infinite Horizons’ exhibition described it as a Lysterfield landscape). This composition is even more ethereal with its lightness of touch and colour. The horizon line has been replaced by what can be read as a broken tree line. I hope to see it hanging in the Gallery. Pam is waiting for me at Geelong Station and as we walk through the attractive landscaped gardens of Johnstone Park, the Gallery looms as a solid (and loud) reminder of the imperial nature of Neo-Classical architecture. Built in 1915, the imposing Pantheon-like façade is no longer the main entrance. We walk around to the entrance on Little Malop Street next to the new, and spectacular, state-of-the-art library, which speaks of Geelong’s mission to maintain a dynamic cultural environment. Geelong Gallery’s website informs the visitor: “The greatest strengths of the Gallery’s permanent collection are colonial paintings, including a splendid array of early images of Geelong and its wider region . . .”; yet it seems that new director Jason Smith (previously a senior curator at the National Gallery of Victoria then director of the Heide Museum of Modern Art before heading up Australian art at Queensland Art Gallery|Gallery of Modern Art) has introduced a breath of fresh air into GG with a thought-provoking mix of ‘old’ and contemporary works, often in the same space. The wall colours are calming and non-obtrusive (nature’s greens and blues) and the polished floorboards enhance the mood: conducive to quiet contemplation. 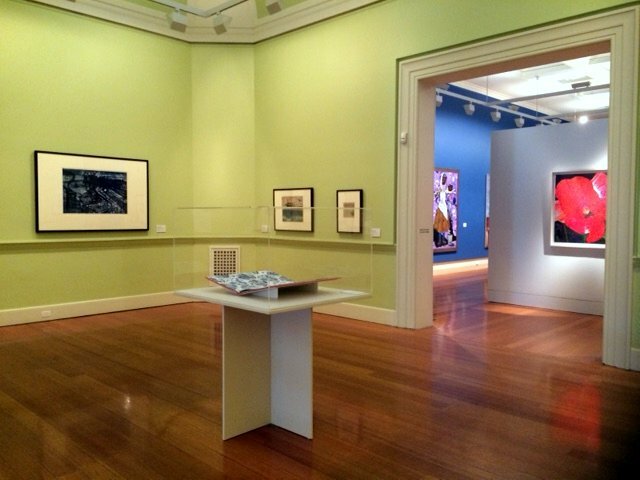 This snapshot of the interior includes a cropped view of the discreet temporary exhibition (one room) dedicated to the memory of Dr Colin Holden (A print legacy – in memory of Dr Colin Holden), an acclaimed art historian and generous GG benefactor who died on 12 July 2016. I will always remember his excellent curating of the 2014 State Library of Victoria and University of Melbourne exhibitions, Rome: Piranesi’s vision (which I wrote about here). In the introduction of his book, Piranesi’s Grandest Tour: From Europe to Australia, Colin wrote: “Even though we are unaware of it, just below the surface of much Australian art the visions of earlier artists greet us.” This quote certainly can be applied to the current exhibition, Tricking the eye – contemporary trompe l’oeil (on show until 12 February), which displays a diverse range of works by twelve contemporary Australian artists who have engaged with the art historical tradition of trompe l’oeil painting (French for ‘trick of the eye’). 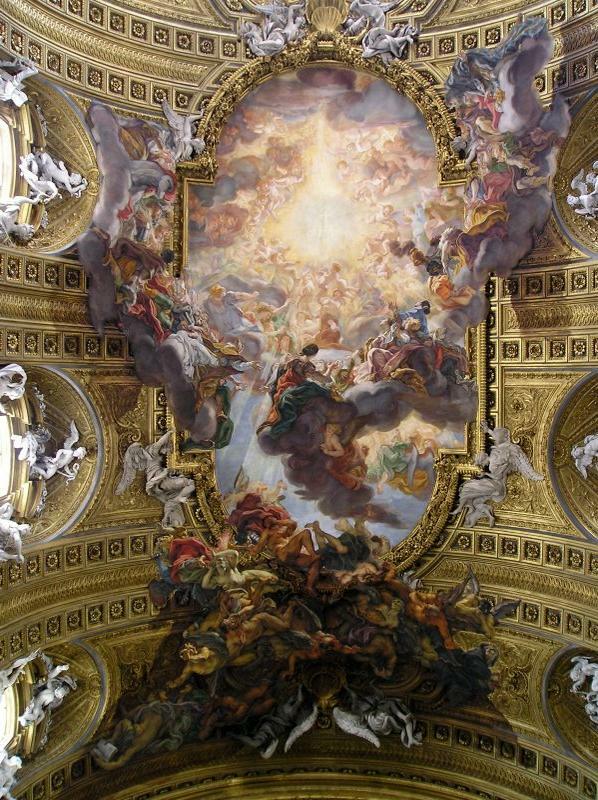 Illusionistic ceilings painted during the seventeenth century in Counter-Reformation churches such as Il Gesu and Sant’Ignazio in Rome were commissioned to intentionally overwhelm the viewer and inspire religious devotion. Il Gesu’s ceiling fresco, Triumph of the Holy Name of Jesus, was painted between 1672 and 1685 by Giovanni Battista Gaulli, a painter of the Italian High Baroque. The message is perfectly clear: devout Catholics will go to heaven while Protestants will burn in hell. Notice how the trompe l’oeil painting overflows onto the architectural elements adjoining the ceiling. The roof appears to lift off as saints and heavenly figures float above the clouds into the light-filled sky and celestial infinity; three-dimensional heretics and sinners descend into darkness, and damnation—‘moving’ into our space below. . . Back to the Geelong Gallery exhibition . . . 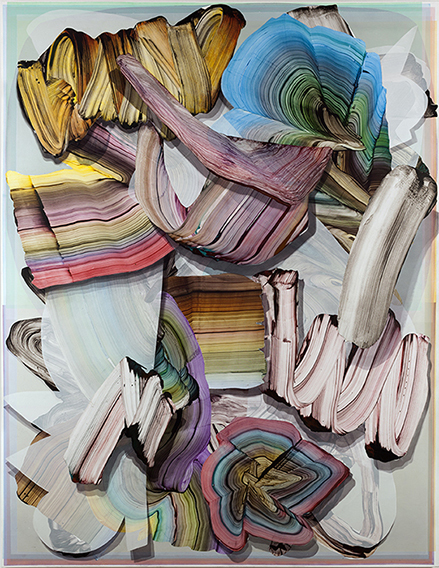 Similarly, but with no implied message or subject matter, Gregory Hodge’s fluid, paint-on-canvas contemporary trompe l’oeil, ‘Transition’ (below), creates an abstract three-dimensional optical illusion. If this painting was hung from the ceiling, the brushstrokes and their forms would appear to be suspended in space. 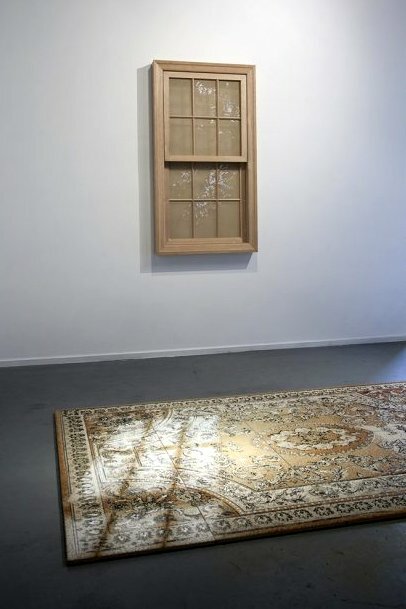 For something completely different, Georgina Cue’s ‘Light Works’ (below) is a trompe l’oeil ‘painting’ on canvas but using embroidery threads instead of paint to capture a moment in time—a ‘window’ hanging on the wall is seemingly casting light onto an embroidered mat on the floor. Visitors could not be blamed for walking on this work of art: it is actually a conceit, tricking the viewer into believing that the white embroidered threads on the mat are actually shafts of light from the window. There is a sense of drama, and I am on the right track when I think of Hitchcock’s thriller ‘Rear Window’ because Cue was inspired by Hitchcock movie sets and lighting designs. An altogether different form of trompe l’oeil ‘embroidery’ is Daniel Crooks’ video work—’An embroidery of voids’—which he produced for the 2014 NGV ‘Melbourne Now’ exhibition. 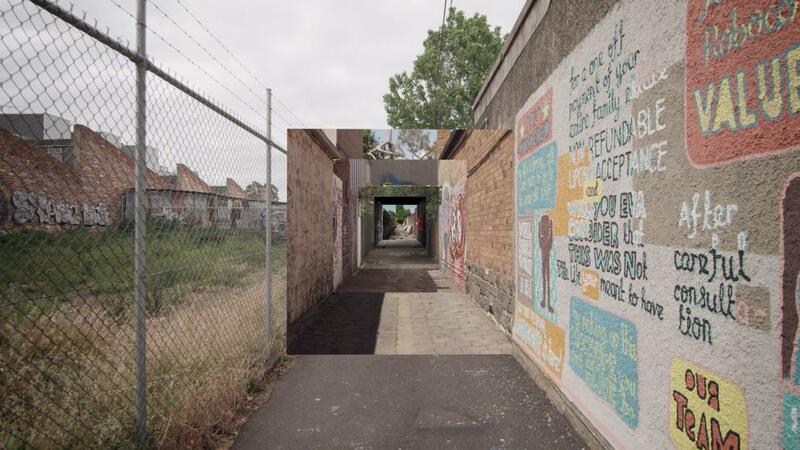 Crooks’ mesmerising video leads the viewer through Melbourne’s laneways and back alleys in his celebrated ‘time-slice’ treatment that rearranges footage into seamless shifting images—a moving trompe l’oeil. Using a ‘slice’ of an image or frame of a video, Crooks stretches and distorts viewers’ reality. Another inspired temporary exhibition showing until 2 April is My Geelong—our Gallery, a testament to the Gallery’s mission to reach out to the local community. Smith invited twenty diverse members of the Greater Geelong community to choose a favourite GG work of art. A room guide offers the visitor a brief overview of the reasons for each choice. Lisa Neville MP, State Member for Bellarine, Minister for Police and Minister for Water, chose Jan Senbergs’ ‘The Geelong Road’. 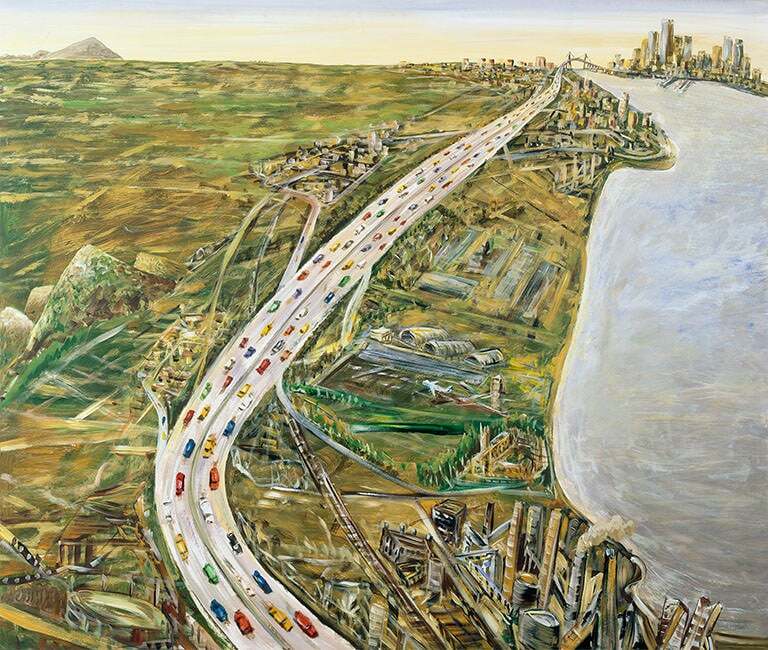 I also connected with this aerial view of the long-time connection between Melbourne and Geelong. As I headed back to Melbourne on the train I thought of all the journeys I had made along the Geelong Road throughout my lifetime, mainly as a means of accessing the Great Ocean Road and the holiday pleasures of surf, sun and sea. 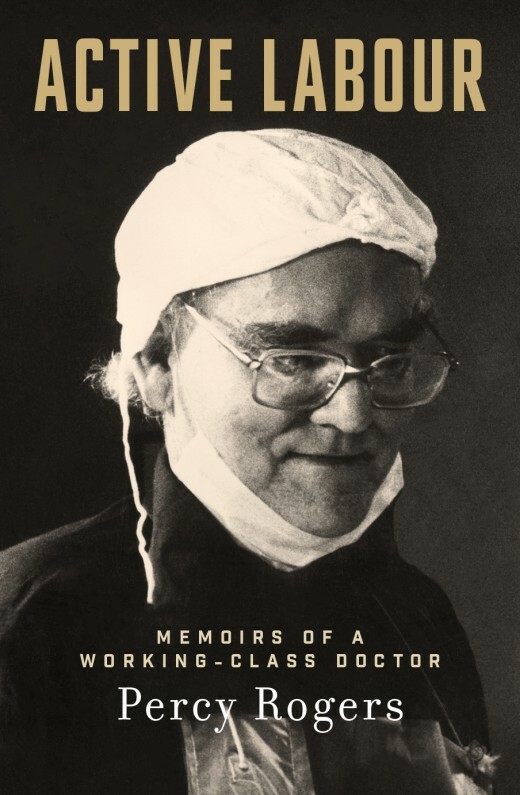 Visiting an art gallery along the way was never on my mind, but it will be now.